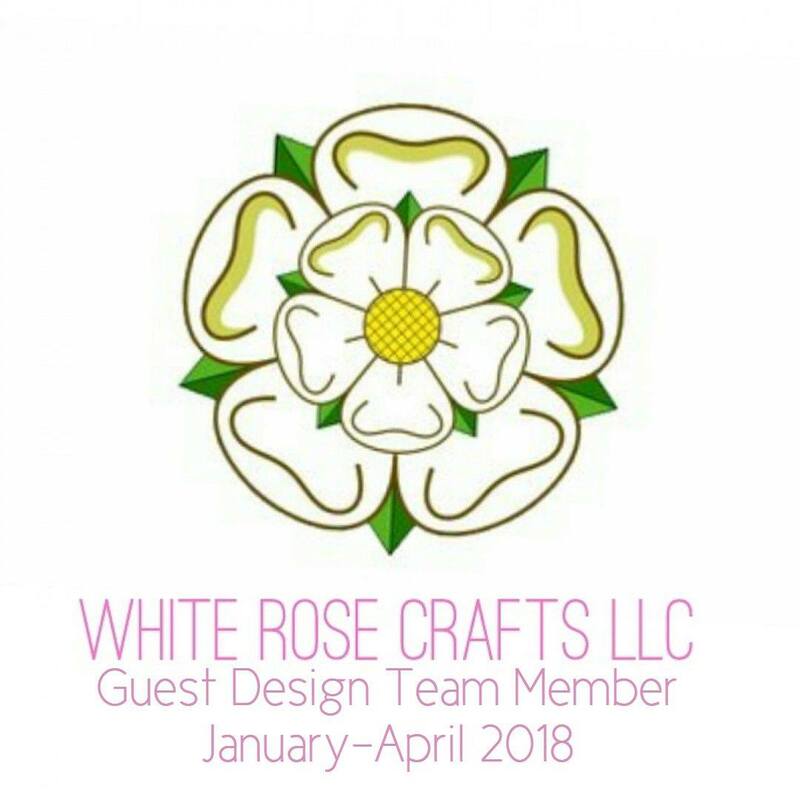 Hi there friends and fellow crafters. I just wanted to hop on today with the two projects I am showcasing over on the Joy Clair blog. 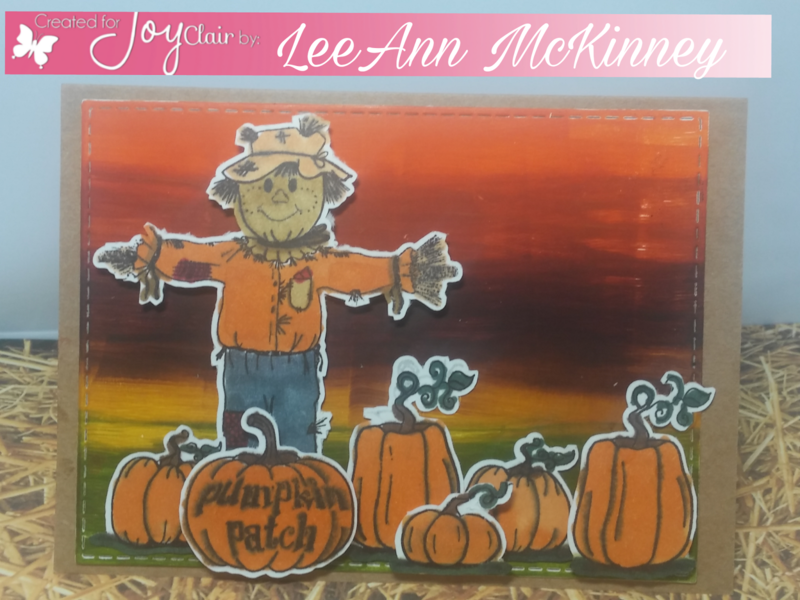 Using the October release set of Fall Happenings I created this little scene. 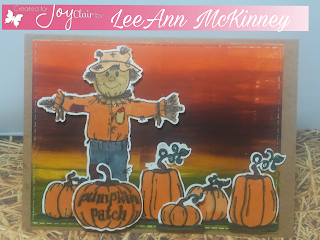 The pumpkin that says "Pumpkin Patch" is from the September release "Fall Planner Set". Using the Harvest Blessings set, I went to work. 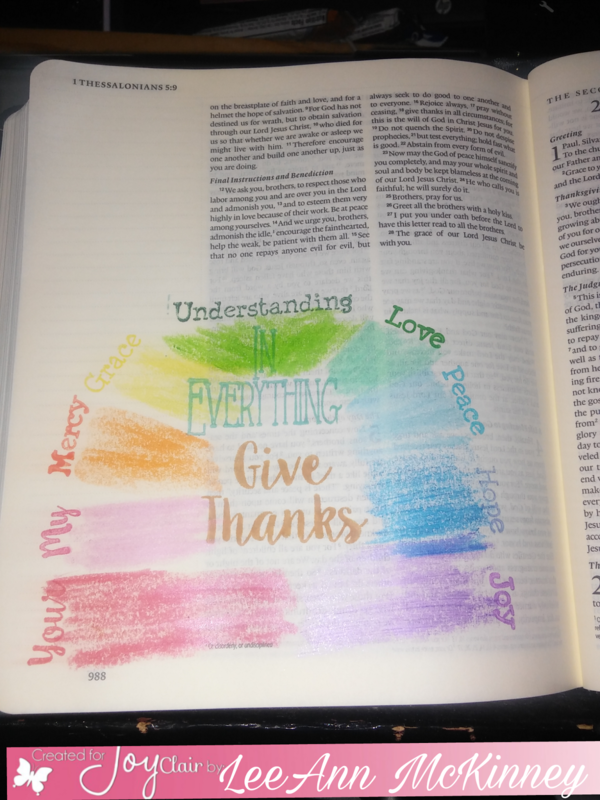 I used the Autumn Leaves ink pad from Kaleidacolor I closed the pads together and drug it across the page to add color until covered. I then used the svg file with my scan n cut and cut out the images, which I then stamped with my Stampoholic. Using my Spectrum Noir markers I went to work on the images. Using my ATG tape I affixed the background to the kraft color cardstock base. Using a combination of ATG and foam dots, I was able to complete the scene. This Bible Journal page was made using the "Give Thanks" set form the September release.